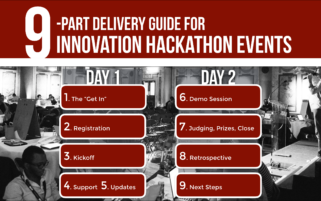 Hackathon Events are a great way to efficiently bring people together to solve a shared problem or address an industry challenge. The goal of a hackathon is to create usable prototype (i.e. something that works in real life – a functioning product) by the end of the event. Hackathons tend to have a specific focus in a “Theme”, and may include multiple competition “Categories”. Usually for 2 days the participants will create rapid prototypes to test new ideas in real situations. Often there are prizes, but the emphasis is on fun, networking and intense collaboration.